Angkor is, quite literally, heaven on earth. It is the earthly representation of Mt Meru, the Mt Olympus of the Hindu faith and the abode of ancient gods. Angkor is the perfect fusion of creative ambition and spiritual devotion. The Cambodian ‘god-kings’ of old each strove to better their ancestors in size, scale and symmetry, culminating in the world’s largest religious building, Angkor Wat. 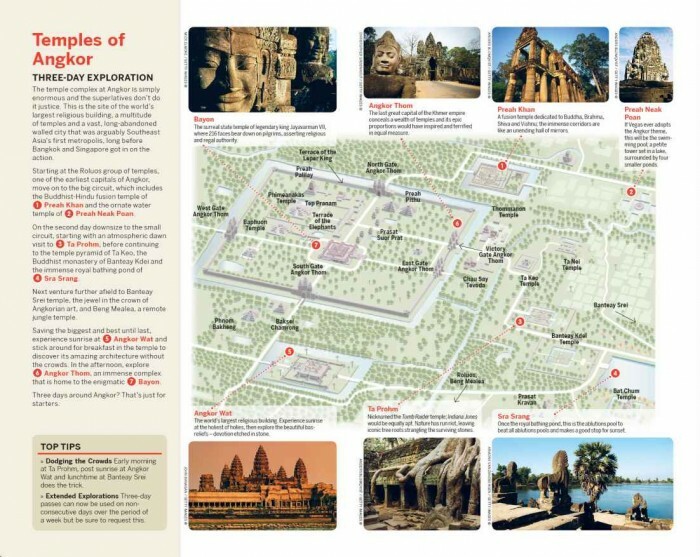 The hundreds of temples surviving today are but the sacred skeleton of the vast political, religious and social centre of the ancient Khmer empire. Angkor was a city that, at its zenith, boasted a population of one million when London was an insignificant town of 50,000. The houses, public buildings and palaces of Angkor were constructed of wood – now long decayed – because the right to dwell in structures of brick or stone was reserved for the gods. Angkor is one of the most impressive ancient sites on earth, the eighth wonder of the world, with the epic proportions of the Great Wall of China, the detail and intricacy of the Taj Mahal, and the symbolism and symmetry of the pyramids, all rolled into one.